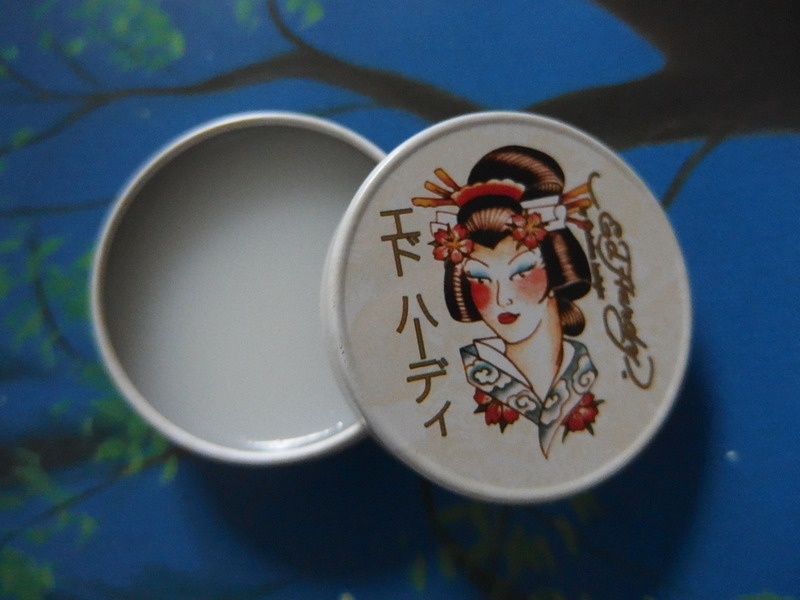 Ed Hardy Geisha Makeup Solid Perfume Vanity Kit retail value for $35.00 at Uniprix drugstore or available on ebay. I’ll be lying if I said that I bought this palette because of the cute packaging and the cuteness of each products were calling for me. 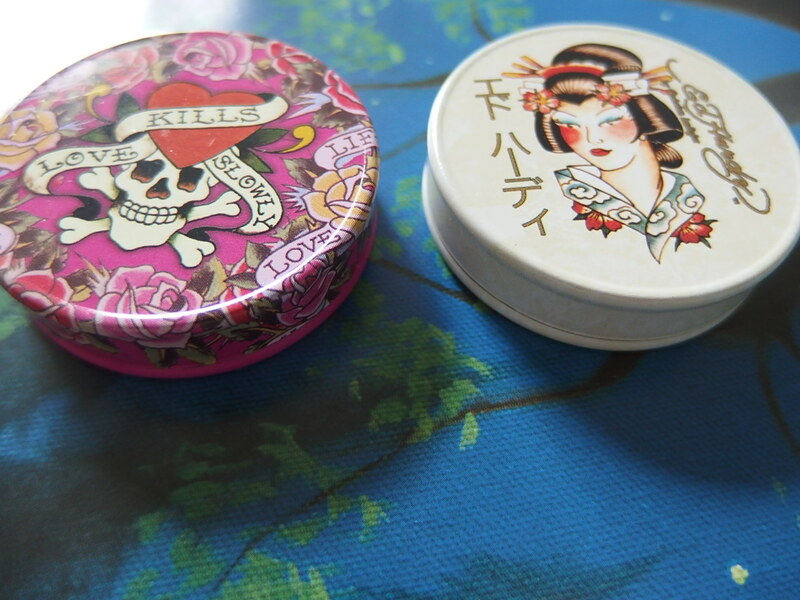 Admittedly, I’m a sucker for cute packaging and needless to say, I came home with this geisha on tow, lol! 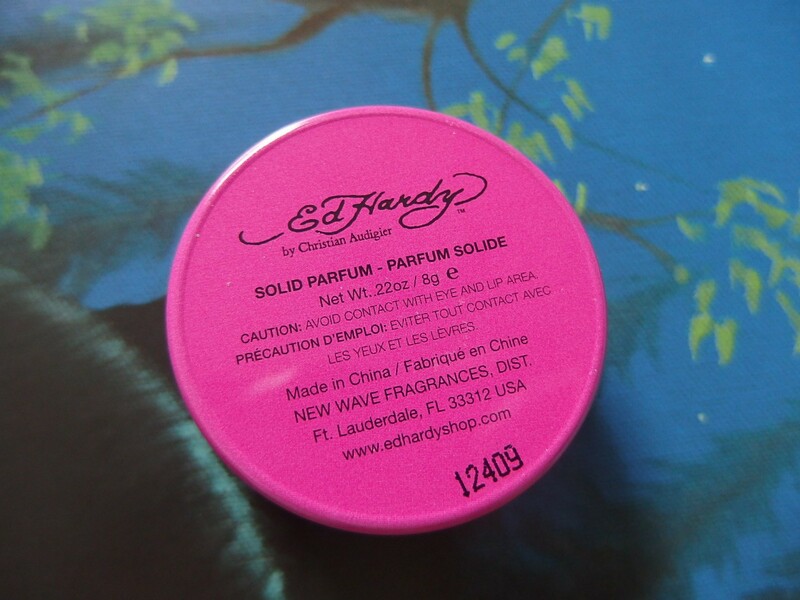 It’s my first experience with Ed Hardy Colors makeup product and I’m very excited to share some pictures of their cool shadow palette and color swatches. I love how it’s presented … the colors, signature Ed Hardy perfume/parfum solids, and that it has lights built in. Very cool! Good for travelling. 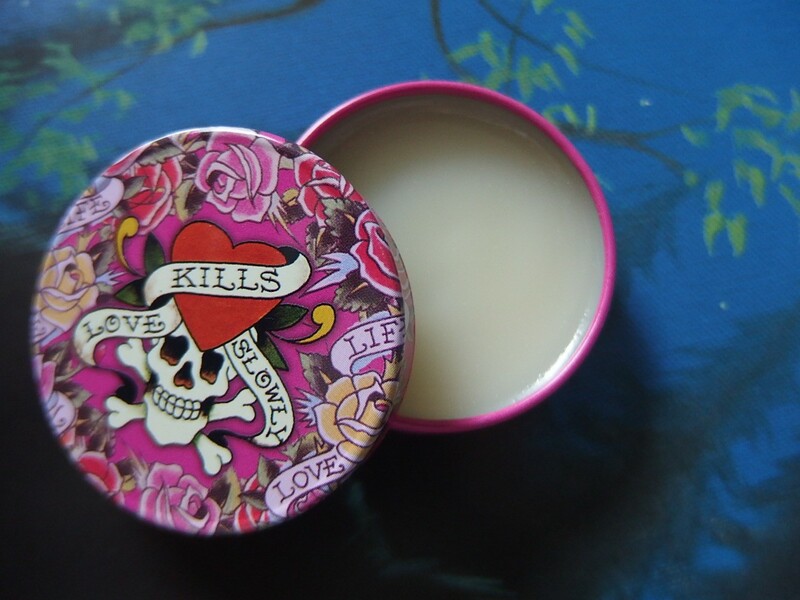 I got this in blue box and it comes in pink also, which has different shades. And, to make it better, it’s all under $15.00 on special! It also has a mirror, and when you open the doors of the mirror, lights are on the doors. Seriously! 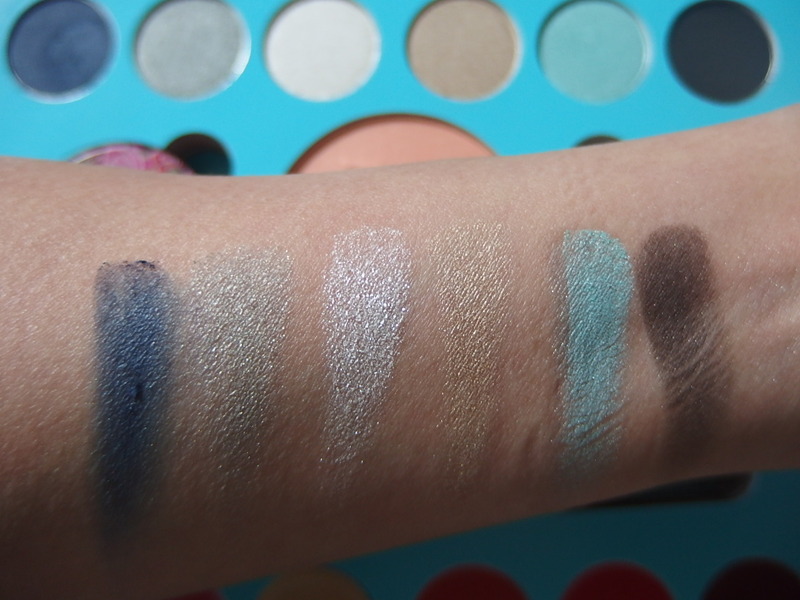 I mean seriously, how can you say no to this palette! It’s freaking amazing. They came together and made something amazing. You can have a lot of fun trying different looks from extreme to tame and having a fun blast time seeing what looks good on you. 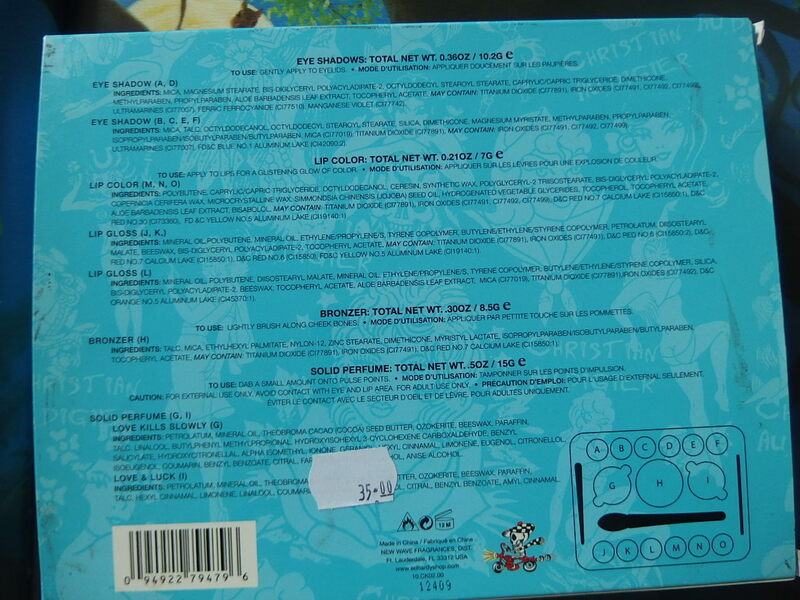 Another cool feature about the makeup kit, is that the makeup brushes have “Ed Hardy” printed on them. Instead of using nameless makeup brushes, now you can have “Ed Hardy” makeup brushes. I’ll do a separate review on the lip gloss with color swatch on my next post seeing this post is getting lengthy as I go carried away with so much to share with all of you. Both parfume smells amazing. I love the cue iconic design on this packaging. Easy to carry in the purse. The color swatches from left to right are as follows: Navy Blue, Moss Green, Off White, Bronze, Turquoise and Dark Brown. Color swatches taken directly from the pan. You know how expensive makeup could be right, so to get that much makeup is actually a bargain! Buy one for yourself and another as a holiday gift. Must Buy! 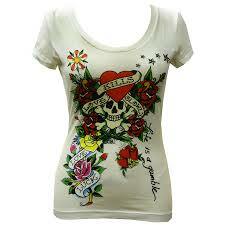 The colors are definitely wild, and would go perfect with your favorite Ed Hardy outfit. Leave me a product in the ‘comment below, twitter or facebook! :)’ box, and I might review it for you! 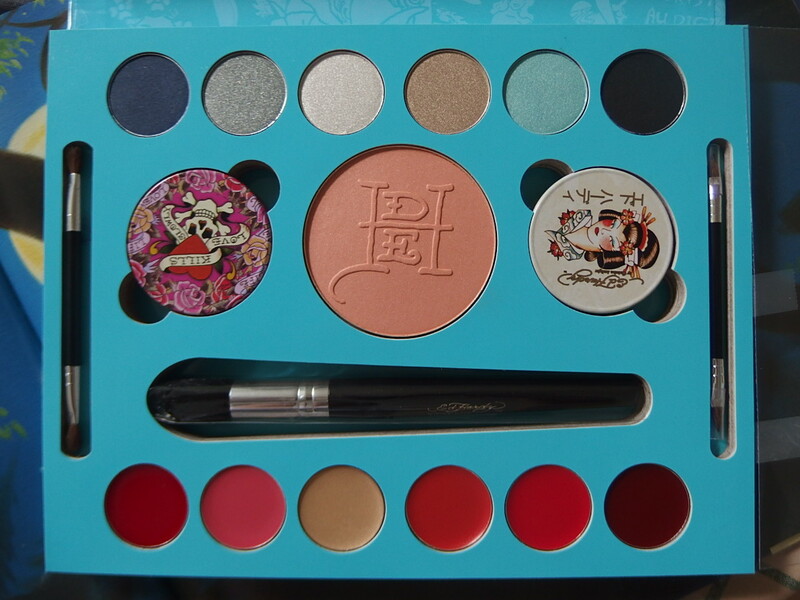 That Ed Hardy palette is gorgeous! I love the packaging and the colours BUT a mirror with lights? I need that in my life! Loving this Ed Hardy box special value set you got! It has everything covered from your makeup to the scents & love the lighted mirror packaging, you got an awesome deal! 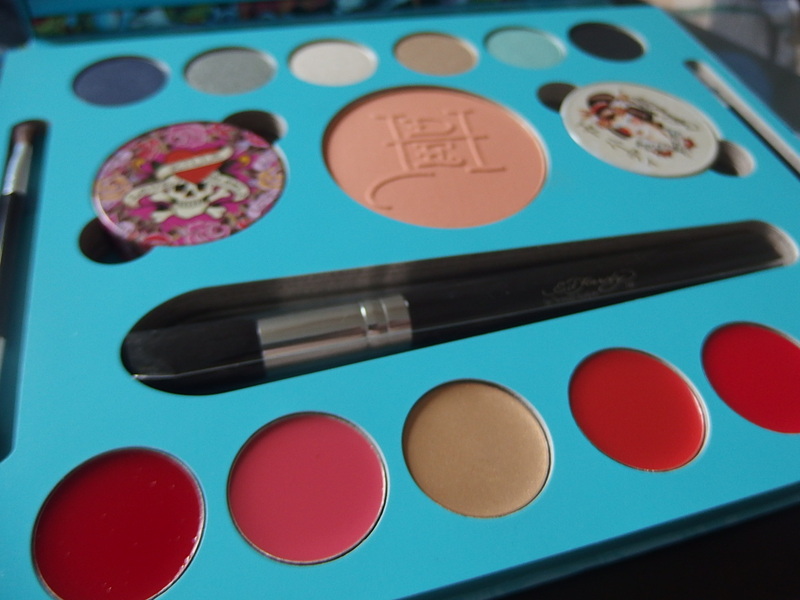 I had no idea Ed Hardy did makeup, let alone palettes like this! 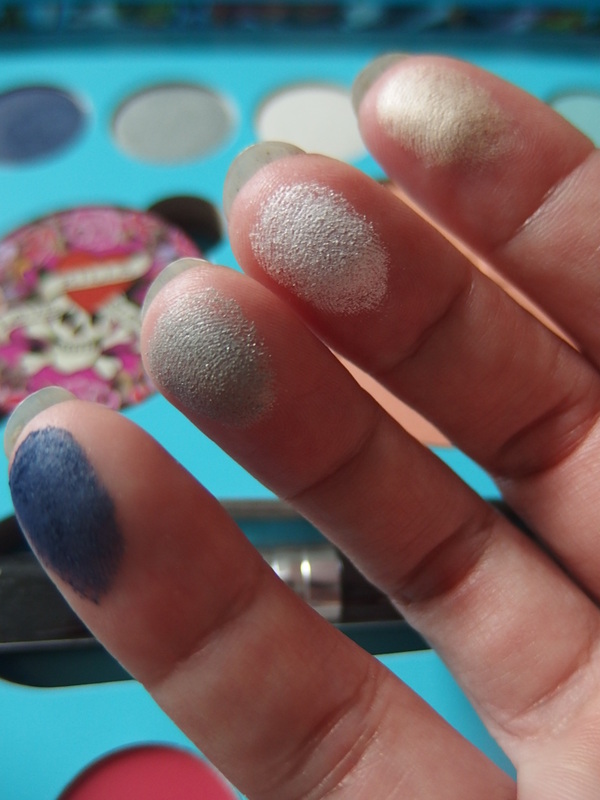 I’m really impressed with the pigmentation of those eyeshadows, wow! I’ll have to keep my eye out for them! 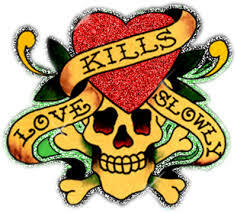 Yes, I saw different makeup products by Ed Hardy, the eyeshadow palette, lip gloss, perfume, makeup gift sets with their iconic “Love Kills Slowly” on the packaging. 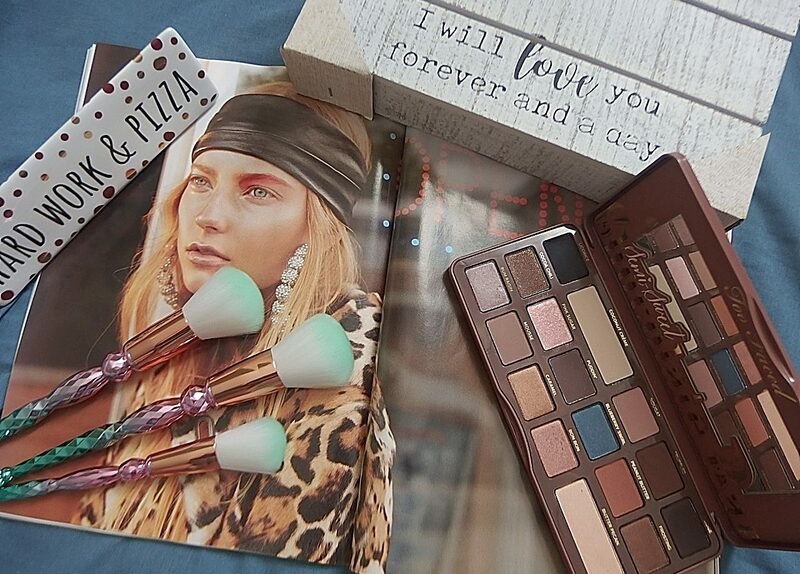 It has a very pretty makeup package …I am glad that you like this palette! Yes, I do. Love the packaging and can’t wait to play with all the pretty colors! 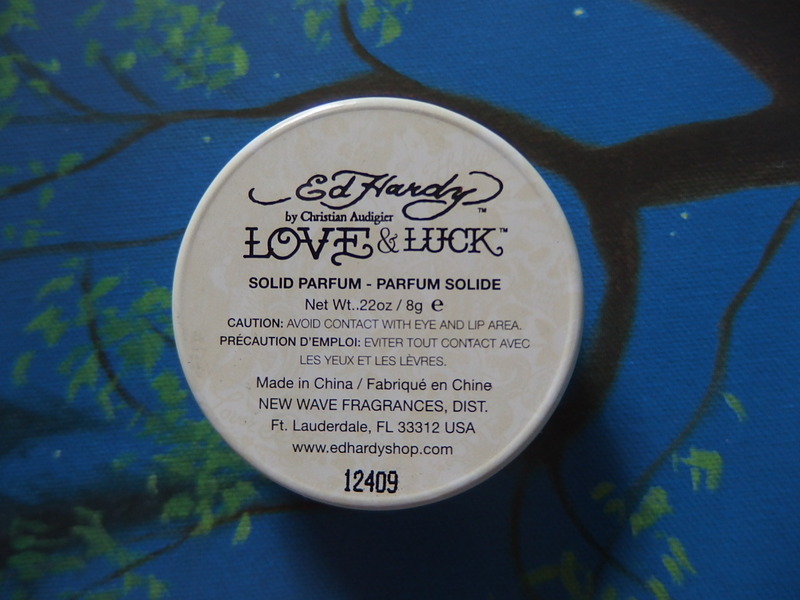 I love Ed Hardy, especially their packaging! I didn’t even know this existed. SHARON… you find the best beauty deals. Is it a Canada thing? Because I don’t even know where to look for such great items where I am. Maybe someone in the US will see my comment and chime in but I totally wish I found super treats like this! 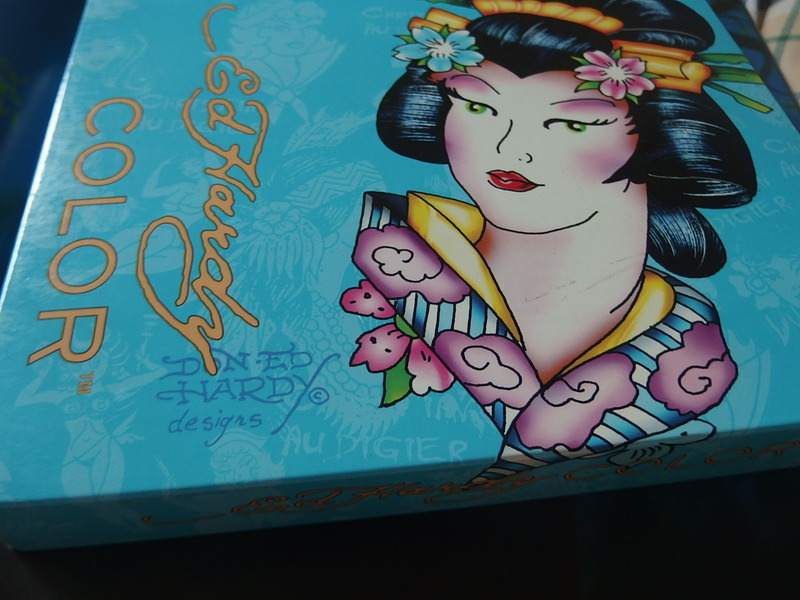 I seriously had no idea Ed Hardy did make-up. It’s not really my style, though I’m loving the idea of a palette that has a lighting kit in it already haha. Reblog! If you miss this post, you got to check this one out.